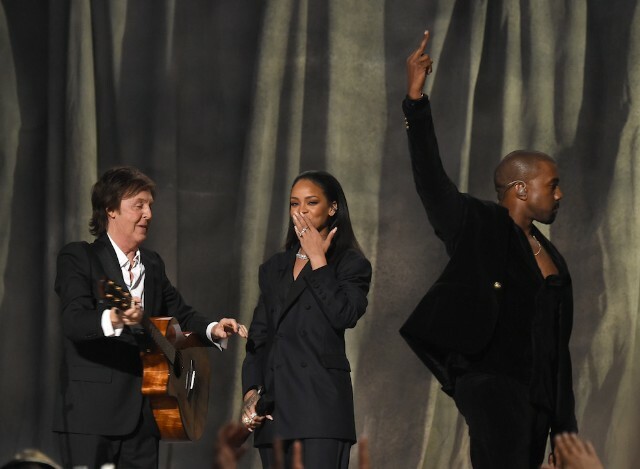 Paul McCartney recently expressed some slight befuddlement about his past collaborations with Kanye West, telling DIY magazine that the process of co-writing “FourFiveSeconds” involved “tootling around on guitar” while Kanye looked at photos of his wife on his computer. Macca seemed more amused about the whole experience than angry, but that didn’t stop Damon Albarn from defending his honor in a new interview. Albarn finished by saying he sent a text to McCartney urging him to “beware” when he heard the two were working together, which McCartney apparently disregarded. Anyone who was hoping for Kanye to play the Del the Funky Homosapien role on the new Gorillaz album will be sorely disappointed.